It’s November. It’s almost November 11. November 11 is Remembrance Day. It is a day in Canada that is set apart to reflect on and honour those who have served in the wars that have delivered so much freedom to so many. Originally called Armistice Day, November 11 at 11 am marked the end of the hostilities of the First World War. Unfortunately, there have been and continue to be more wars. This day, though, remains as a day to honour veterans, thank them for their sacrifice, and reflect on the memory those who have fallen. Remembrance Day is a national holiday in Canada. Ceremonies happen across the country and in many schools on November 11 or in the week leading up to it. Remembrance Day is a somber day. It is a day that usually brings me to tears. I was able to spend Remembrance Day at Canada’s National War Memorial one year when I was in university. It is in Ottawa, right across the street from the Parliament Buildings. Being a part of that ceremony was overwhelming and emotional. I remember struggling to see through my tears as I laid my poppy on the Tomb of the Unknown Soldier after the ceremony. It was touching to see it honoured with thousands of red poppies as nearly every person in attendance lined up to pay their respects. I was not alive during the World Wars. I have no family or friends who have lost their lives as members of the military. I know very few people who have served. But I am still thankful. Thankful that I haven’t lost family or friends in that way. Thankful that my grandparents lived through the Second World War, and that I didn’t have to experience the hardships that they and so many faced during the years in which so much of the world was encompassed in world war. If you’re reading this, you’re likely a bookworm like me. And, like me, you’ve probably read a few books set in wartime. World War II is a popular setting for historical novels and many romance novels. These books, despite most of them being fiction, have given me a greater understanding of the sacrifices that so many made — both veterans and their friends and families — during times of world war, and have increased my thankfulness. Before I give you a list of books set in wartime that I’ve read, I’d like to say thank you — if you’re a veteran who has served, thank you; if you are a family member of a veteran who has served or is serving, thank you; if you’re a friend or family member of someone who has fallen, thank you. Thank you for sacrificing your time and energy for the dream of a better world. Thank you for supporting your family and your friends who have gone into unimaginable (as much as we try to imagine and understand the realities of war and how they affect people) circumstances. Most of my wartime reading has been set in World War II. These are books that have helped me understand a little bit more of what life was like during the 1930s and 1940s. I remember reading this book in high school. 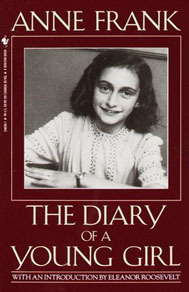 It is an autobiographical account of Elie’s time as a teenager in Nazi concentration camps. It is raw. It is painful. And yet, it is somehow hopeful. I remember it making me think. A lot. I read and reviewed this book earlier this year. I loved it. It told a little known aspect of life during WWII – the life of those in travelling circuses. The story focuses on two women and the friendship they develop – while one of them, a Jewish woman, hides from the Nazis in plain sight. It also tells the story of Jewish infants who were stolen from their families and left to die — and those who tried to help them. All in all, definitely a tear-jerker but also a really fascinating story. This may be one of the most beautiful books I have ever read. It tells the parallel stories of a blind French girl and a German boy forced to join the Third Reich. Eventually, their paths collide. I don’t know what to say about this book other than it is stunning. It celebrates the life and goodness in people, and the desire to find that goodness in others. A staple of most childhood reading, this novel gives a little bit of insight in what life was like for British children during WWII. When London was bombed, children were shipped out to the country to live with strangers. Although Narnia is definitely a plus, the non-Narnia scenes in this book opened my eyes as a child to how different life was for so many. And the fear that so many families, split up by the war, might never see one another again. This is the only other non-fiction book I’ve included in this list. Books set in wartime tend to be easier to read when you know they aren’t true. Anne Frank is well known. But have you actually read her diary? It was written while she and her family were hiding in a secret attic annex in the Netherlands. They spent two years there before they were found and taken to Nazi concentration camps. Anne was only 13 when her family went into hiding. Her entries are beautiful. They are hopeful and they are agonizing. Another novel that gives a bit of insight into what life might have been like for British children shipped to the country during WWII. Alternating between the 1990s (I think…) and 50 years earlier when her mother was billeted there as a WWII evacuee, Edie tries to figure out her mother’s past and what happened while she was at Milderhurst Castle. Kate Morton’s novels are always multi-faceted and many layered, and this book is no exception. A novel about the power of books, I can’t not include this one in this list. Liesel is a foster child, living near Munich with foster parents during WWII. They have very little, and yet Liesel gains so much. Her foster father teaches her to read. She can’t afford books, so she steals them and then shares them with those around her – reading aloud in the bomb shelter. This is a novel about those we often forget, the ordinary Germans in WWII who suffered as much as many of those their country was waging war against. I’d like to broaden my understanding. If you know of books set during other times of war or conflict that you’ve found helpful to understand more of what others have experienced, can you share them with me in the comments?